Workshop Software allows you to send rego, service or WOF reminders by email or SMS. 5. 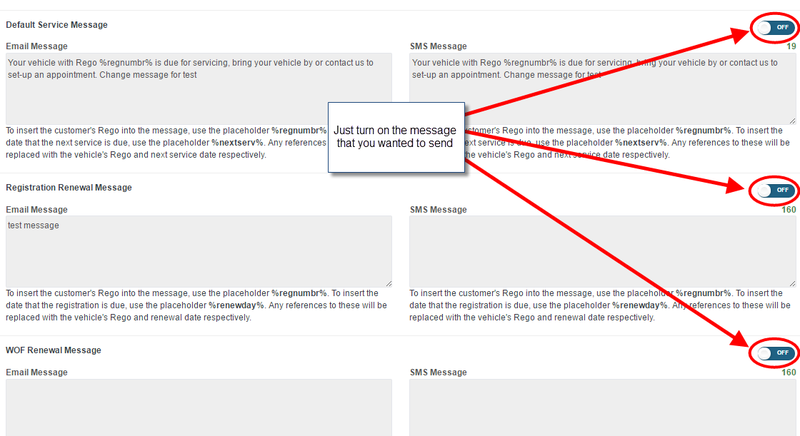 Enter the message you wish to send, following the instructions to insert the customer’s rego and next service date. 6. Once you have entered you messages click on the green Save button at the bottom right of the page. If you are intending to send reminders by SMS you will need to purchase them first. If you are paying your subscription by Capricorn you will need to contact Workshop Software on 1300 729 658 or (09) 280 3334 for NZ customer to register a credit card. How do I Update the Next Service Date?